Annual Penguin Plunge – Join, Give, Share! What would you do for family? YGB takes the plunge. 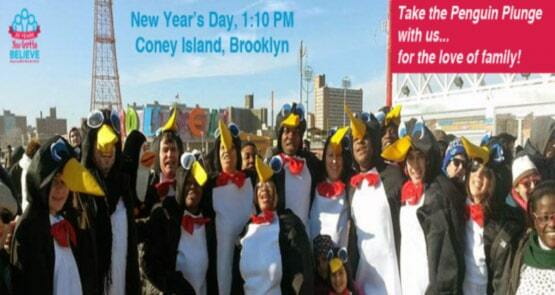 We invite you to join us on January 1st for our annual Penguin Plunge! Your participation and donations help us continue to support our youth in foster care find family. We do it for the love of family, won’t you? Let’s take the plunge in 2018 and go ‘all in’ to make sure that no youth leaves the foster care system without the one thing they were promised: a permanent, loving family.